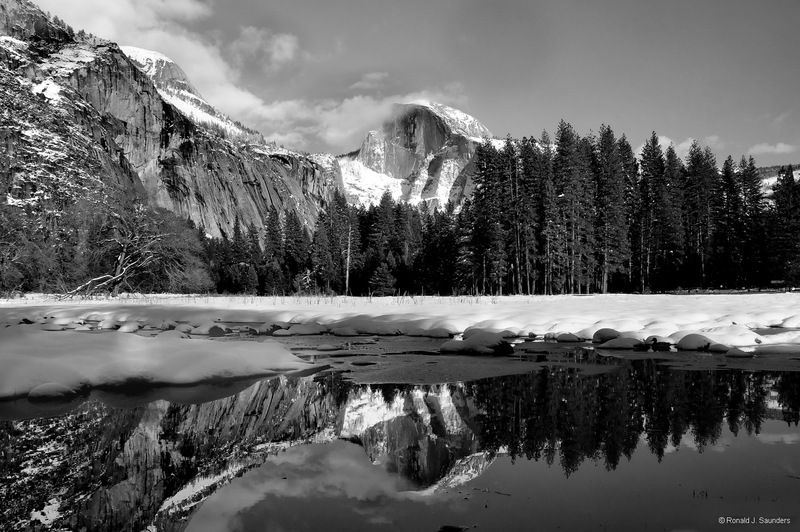 A pond reflects the image of Half Dome on a cold winter day. Winter is my favorite time to visit Yosemite, The tourist traffic is greatly reduced and the views are absolutely stunning. Photo © copyright by Ronald J. Saunders.